Robert Herjavec kept his promise to 4-year-old Liam Brenes, the California boy whose prosthetic leg was stolen. Less than 24 hours after getting married to new bride Kym Johnson, the Shark Tank star hosted a party for Brenes to celebrate the little boy’s new Ghostbusters-themed prosthetic leg that Herjavec, 53, had offered to fund. Liam – who was born without a fibula and had his right leg amputated below the knee when he was 1 – was enjoying the day at Crystal Cove State Beach in Orange County with his family on July 24 when he discovered that the prosthetic he was trying to protect from the salt water had gone missing upon returning from his swim. “Married last night & this a.m. @robertherjavec met Liam, whose prosthetic leg was stolen. Robert had a party 4 him!” ABC7 reporter George Pennacchio shared on Twitter along with a photo of the pair. 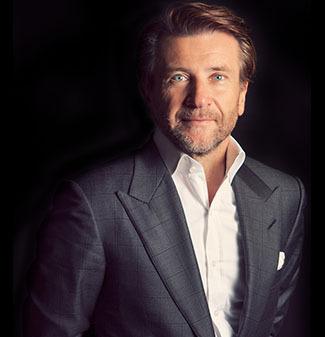 On Sunday, Herjavec tied the knot with his former Dancing with the Starspartner in Los Angeles. The couple fell in love during season 20 of the ABC dancing competition and got engaged in March after nearly a year of dating. Among the surprises Brenes had at his party were Ghostbusters toys and gifts as well as a surprise appearance by Noah Galloway. Galloway, a double-amputee Iraq War veteran, competed on the same season as Herjavec and Johnson. In addition to the party, Herjavec has offered Liam a trip to Disneyland. “We’re going to arrange to have him to a VIP tour of Disney and get to go to the park and have some fun in life because it’s good to have fun in life,” the Canadian millionaire previously said.